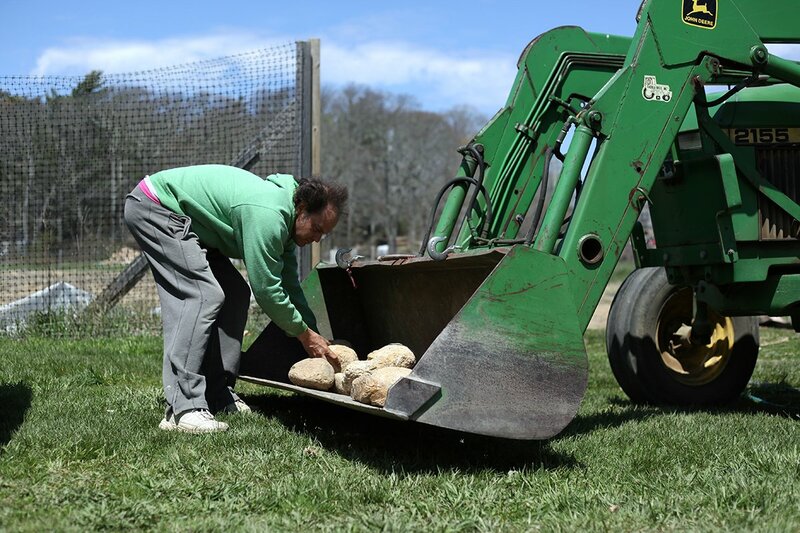 On May 3rd, 2015 we made a farm visit to Rusty Gordon’s farm on Martha’s Vineyard. 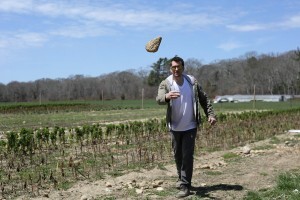 He founded Ghost Island Farm on Martha’s Vineyard in 2011, and it has been growing since! The Martha’s Vineyard farm is supported by the hard work of Rusty, a steady base of local customers seeking fresh produce, and the dedicated members of the Ghost Island Co-op. Rusty says that the soil is clay, but that a surprising number of fieldstones keep growing back even after the field has been cleared. This makes Ghost Island Farm a great partner for American Stonecraft! Gerald, Amy, and Rusty harvested about 40 fieldstones from the farm on May 3, 2015. Our artisans here in Lowell will turn these goods into unique, functional tableware. We will be sending them free goods in about a month so that they can try out our line in their farmstand. 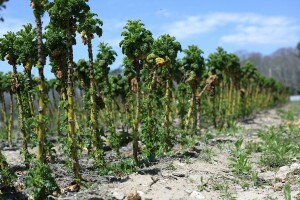 This entry was posted in The Farms and tagged Farm Visit, Fieldstone, Ghost Island Farm, Martha's Vineyard, Massachusetts.